Disruptor or disrupted? 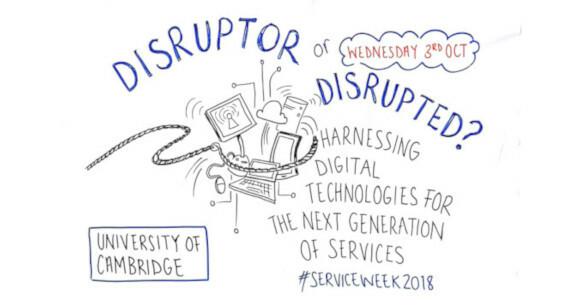 This was the headline question posed at this year’s Cambridge Service Alliance (CSA) Industry Day, held on 3 October at the Møller Centre in Cambridge, giving delegates the thought-provoking challenge of trying to make sense of the different influences driving technological change across industry and society. If you would like to be kept up to date with information from the Cambridge Service Alliance, do please visit here to complete the sign up form.